Sold at auction on Thursday 14th February 2019 at Birmingham Auction for £202,000. 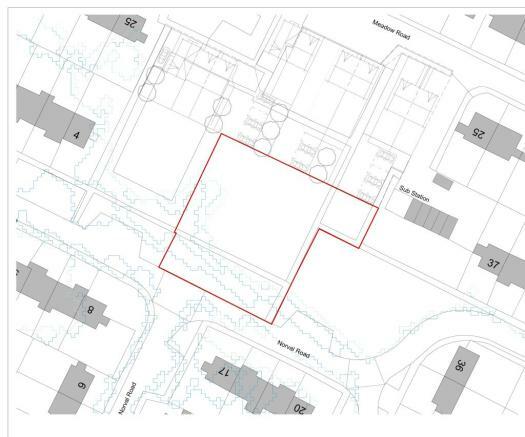 A superb development opportunity for the erection of four semi-detached houses. 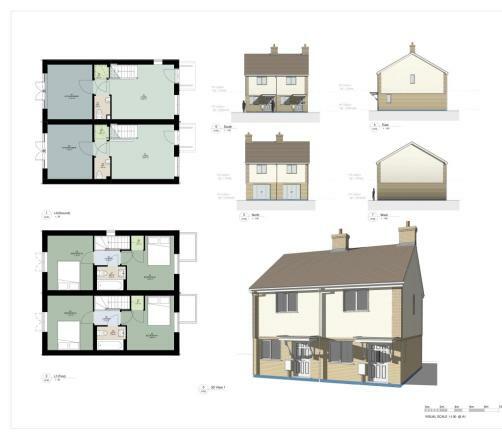 (Two x 3 beds and Two x 2 beds) with a Gross Development Value of £930k (2x £215k and 2x £250k). 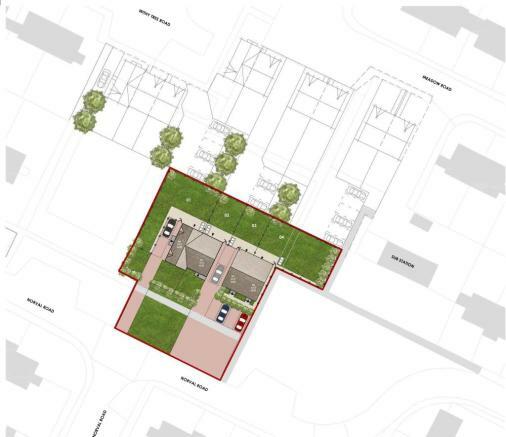 The plots are set in this popular village location on the Warwickshire/Worcestershire Border. South Littleton boasts a wide range of local amenities and primary school, incredibly close to the peaceful countryside. An excellent investment purchase. 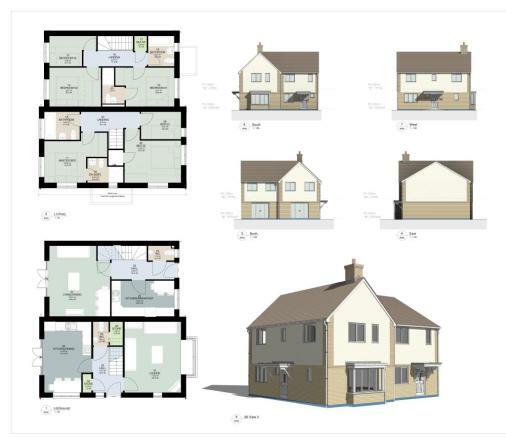 Planning permission has been granted by Wychavon District Council dated 18 January 2019 for the erection of four semi-detached dwellings. Planning Reference 18/01999/FUL. The Conditions of Sale (also known as the legal pack) will be available to download from our website, www.sdlauctions.co.uk, prior to the auction and the purchaser shall be deemed to have knowledge of same whether inspected or not. Any questions relating to them must be raised prior to the auction. The purchaser will also be deemed to have read and understood the auction conduct notes printed within the sale catalogue. Prospective purchasers are advised to check with the auctioneers before the sale that the property is neither sold nor withdrawn. Each property sold is subject to a Reserve Price. The Reserve Price, which is agreed between the seller and the auctioneer just prior to the auction, will be within + or - 10% of the Guide Price. The Guide Price is issued solely as a guide so that a buyer can consider whether or not to pursue their interest. Both the Guide Price and the Reserve Price can be subject to change up to and including the day of the auction. For a full definition of the Guide Price and the Reserve Price click here. Contracts are exchanged on the fall of the hammer and a 10% deposit will be taken from the highest bidder. This deposit will contribute towards the purchase price. The sale of this lot is subject to a buyer’s administation fee of £1074 including VAT (unless otherwise stated in the important notices), payable on the fall of the hammer. Disclaimer - Property reference bw_birmingham_1446723_12373. The information displayed about this property comprises a property advertisement. Rightmove.co.uk makes no warranty as to the accuracy or completeness of the advertisement or any linked or associated information, and Rightmove has no control over the content. This property advertisement does not constitute property particulars. 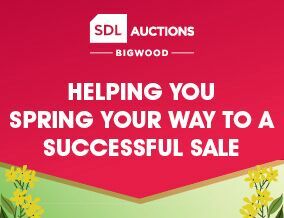 The information is provided and maintained by SDL Auctions Bigwood, Birmingham. Please contact the selling agent or developer directly to obtain any information which may be available under the terms of The Energy Performance of Buildings (Certificates and Inspections) (England and Wales) Regulations 2007 or the Home Report if in relation to a residential property in Scotland. Auction Fees: The purchase of this property may include associated fees not listed here, as it is to be sold via auction. To find out more about the fees associated with this property please call SDL Auctions Bigwood, Birmingham on 0121 233 5046.